The end of the border dispute between Spain and Portugal after the Treaty of Madrid in 1750 threatens the Jesuit missions throughout South America, including the Mission of San Carlos run by a peaceful Jesuit (Jeremy Irons) and a slave-trader turned Jesuit (Robert De Niro). The Mission, an original screenplay directed by Roland Joffé, was released in 1986 at the Cannes Film Festival. The movie is set in 1758 around the borders of Argentina, Paraguay, and Brazil. The film, which has many themes placing it into the medieval genre of film, tells the story of the Jesuit missions whose communities are being threatened by border changes spurred by the Treaty of Madrid signed by Spain and Portugal in 1750. Historically, there were seven missions affected by the treaty (Saeger). The movie follows the work of Father Gabriel (Jeremy Irons) in the Mission of San Carlos as well as the transition of Rodrigo Mendoza (Robert De Niro) from slave trader to Jesuit in this community. The two are shown working with the indigenous Guarani, eventually fighting together to preserve their mission and community once Cardinal Altamiran (Ray McAnally) comes to negotiate with the colonial representatives from Spain and Portugal. Their failure to protect the mission in Portugal’s territory culminates in a fight between the Guarani and the Portuguese, who wish to enslave them, ending with the mission community in flames. 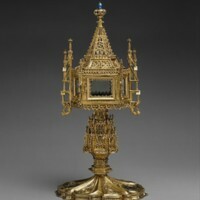 The Missiondemonstrates how social hierarchies, inherited from the medieval world, translate to a colonial context: the all-powerful nobles, some of who question the Church’s authority, as well as the order who must follow the Church’s authority, and the indigenous who are violently mistreated. The Mission demonstrates the power struggle between the Jesuit order, the Church and nobles during this period. As monarchies became more established and increased their powers, the power of the Church began to decline. During this time and afterwards, the Jesuit order began to face discrimination and was pushed out of many countries, including their eventual expulsion from South America in 1759 (British Jesuits). 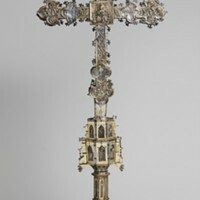 The movie demonstrates the tensions between Spain and Portugal, and the Jesuits. In the movie, the European representatives tour the missions with Father Gabriel, Mendoza, and Cardinal Altamiran. They question how the mission communities are different from what they do with their Guarani servants. To which, Father Gabriel explains that the Guarani in mission communities keep any profits made and are given access to everything they create in the community. Later in the film, it is revealed that Jesuit missions do not serve Portugal’s interests because they are able to trade with other countries in Europe and, therefore, they must be disbanded. The Portuguese and Spanish do not like this competition or the effect it has on their profits. Cardinal Altamiran represents a threat to the Jesuit order and says in the beginning of the movie that he is there to guarantee the Church’s authority is not threatened. He chooses to sacrifice the mission in South America in the hopes of protecting the missions throughout Europe. The events within The Mission reflect the Jesuit order within Europe. Despite the challenges faced by the Jesuits, the indigenous suffer the most. Beginning with Columbus’s arrival in the “New World,” the island of Hispaniola, the indigenous have been enslaved and forced to make changes to their culture to align with western ideals. The mistreatment of these people included enslavement or and murder (Zinn). When the Jesuit missions arrive in Paraguay in 1610, there were colonial settlements filled with Guarani slaves and more were being taken from their lands. The Mission begins with the slave trader, and future Jesuit, Rodrigo Mendoza, hunting indigenous people to bring back to the colony to serve the settlers. The mistreatment of the Guarani by the settlers is often revealed through Rodrigo Mendoza, who is searching for redemption through his work with the Jesuits. During the scene where the worth of the missions is debated, Mendoza rejects the statement of the Spanish colonist claiming to treat the indigenous fairly. The Spanish and Portuguese view of the indigenous are most evident in the film when they refer to a Guarani boy as an animal, demonstrating their belief to be superior. Mendoza also reveals the extent of the mistreatment of the slaves; he shows the whip marks on the back of an escaped Guarani slave. The Jesuit missionaries also exercise power over the Guarani. Their simple assumption that the Guarani worshipped no one before they arrived demonstrates the arrogance of the western Church. In the movie, when the indigenous are told they must leave the mission, this is also the one time when the Guarani language is translated for audiences, revealing how little importance is placed on their thoughts and words. The low social status of the indigenous can even be seen in the production of the movie whose historical inaccuracies only affect the depiction of the Guarani. Historically, the Jesuits did not treat the Guarani as well as it is shown in the movie. Many Guarani rejected the religion and even ran away from the missions. Those who accepted Christianity did not do so for decades. Also, rather than communally dividing profits, the Jesuits had tight control over all the resources and finances of their missions. It is also established in the movie that the Guarani practiced infanticide for their own survival. But in reality they prided themselves on having large families so that they could better support themselves (Saeger). These changes, made most likely to advance the particular spiritual heroism of the Jesuits, subordinate the role of the Guarani in the story to serve the overall message about the bravery of the Jesuits. By not giving the tribe a voice, the movie further stereotyped a culture with a rich history that predated the arrival of the Europeans. The Mission creates a narrative about the work of the Church through the Jesuit missions and of the colonization of new lands that began towards the end of the middle ages. It also highlights the mistreatment of the indigenous people affected by colonialism, but does so in a way that stereotypes them and mischaracterizes their culture. Brenner, Paul. 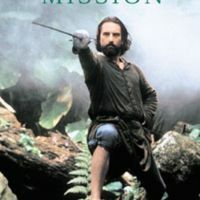 "The Mission (1986) - Roland Joffé | Synopsis, Characteristics, Moods, Themes and Related." AllMovie. Accessed March 21, 2018. Miller, Judith. "'The Mission' Carries a Message From Past to Present." The New York Times. October 26, 1986. Accessed March 21, 2018. Zinn, Howard. "Columbus, the Indians, and Human Progress." In The People's History of United States, 1-15. NY: HarperCollins Publishers, 1980. "The Mission (1986)." IMDb. Accessed March 21, 2018. "The Suppression and Restoration of the Jesuits." The Suppression and Restoration of the Jesuits | Jesuits in Britain. Accessed March 21, 2018.